Do you want to be an advocate for Social Studies? The District Representatives in ODD numbered districts shall serve a two (2) year term beginning July 1, 2019.
attend monthly Executive Board meetings. These are conducted over the phone. Serve on various State level committees and testify at various hearings on pertinent social studies issues should the need arise. perform such duties and have such powers as are provided in these By-Laws or a directed by the President and/or the Executive Board. Nominate an Extraordinary Social Studies Educator! MCSS Awards will be given out at our fall regional conference. Nominate a deserving educator today! Are you interested in challenging your students 3-12 in a multitude of social studies topics? Click here to visit the MCSS Social Studies Olympiad page for more information and to register! Save the Dates! MCSS Annual Conference is being held March 22 and 23 on the Hope College Campus in Holland, MI. Experience an in-depth look at the life of one of America’s greatest presidents with our “Life of Lincoln” motor coach tour. The 4-day, 3-night tour includes a special visit to the new Abraham Lincoln Presidential Library and Museum in Springfield, Illinois. We’ll also tour Lincoln’s New Salem State Historic Site, the Lincoln Home in Springfield, the Lincoln Tomb in Oak Ridge Cemetery, and much more! Conference space still available for Saturday! Unfortunately, we have had to close both 2 day registrations and registration for Friday, but that doesn't mean you have to miss out! Conference space is still available for Saturday. Please register soon as space is limited and you won't want to miss out on our great speaker line-up. 2018 Conference Guide is now available! The 2018 MCSS Conference Guide is now available. Please click here to download the guide. If you are working with someone whom you consider an excellent social studies educator or student we ask that you please nominate them for one of the nine MCSS awards to be given at the State Conference. 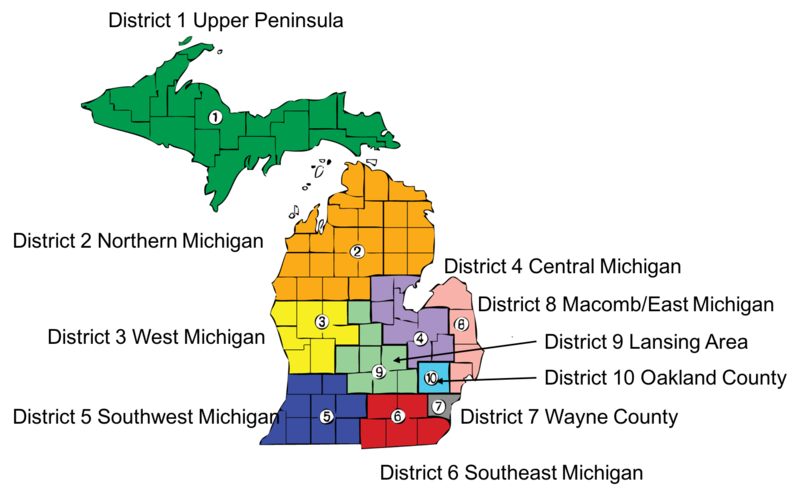 The entire contents of this Web site, unless otherwise noted, are Copyright © 2007 - 2019 Michigan Council for the Social Studies. All Rights Reserved. Reproduction in whole or in part in any form without consent from Michigan Council for the Social Studies is prohibited.